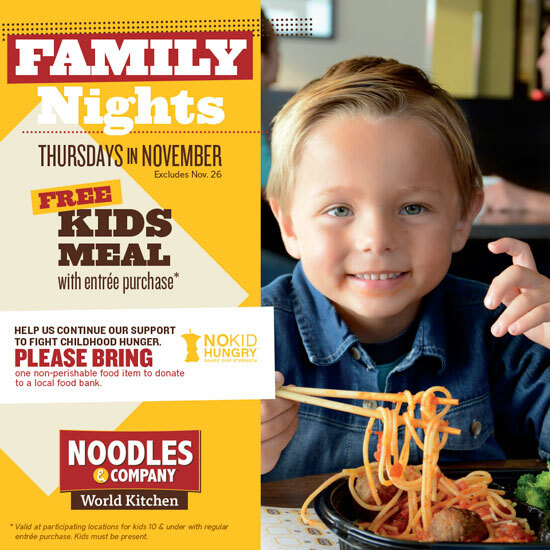 Every Thursday in November (except Thanksgiving), visit Noodles & Company for Family Nights. As part of this event, children will receive one FREE Kids Meal with an adult entrée purchase. Guests are also encouraged to bring one non-perishable food item to donate to a local food bank, in effort to end the fight against childhood hunger.